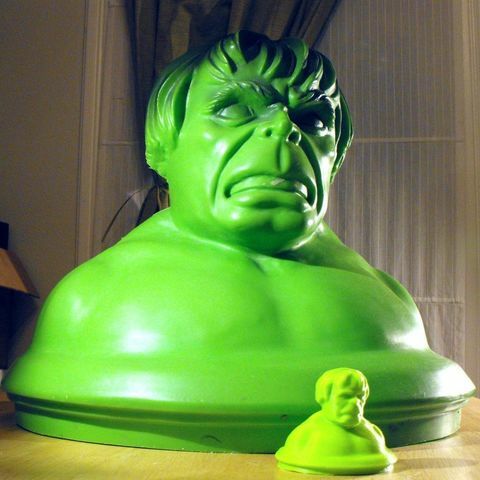 A 3D scan of a vintage Incredible Hulk Toy Chest lid. 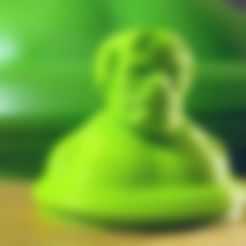 This is a test scan using ReconstructMe and a Microsoft Kinect for Xbox. I have been trying out many different 3D scanning methods recently, and this is one of my favorites. While the laser scanner I have at work can do a better job with capturing precision detail of static objects, it is slow and not good for scanning people. The ReconstructMe software is amazing, and scanning is fast, so scanning a person is so much easier.